Dates set for 2014. Submissions are now closed. The International Horror and Sci-Fi Film Festival returns to celebrate its 10th Anniversary. The event will be held April 3 to April 10, 2014 at the Harkins Scottsdale 101. Our submission period is now closed. Notifications will be made late January. Check back to see our selections. Good luck and we'll see you in April! of horror and sci-fi features and shorts, it’s an event that you don’t want to miss. Guest line-up announced for this year’s festival! 2013 IHSFFF: We Need Your Screenplays! THE 2013 INTERNATIONAL HORROR AND SCI-FI FILM FESTIVAL IS NOW ACCEPTING YOUR FILM SUBMISSIONS!! The International Horror and Sci-Fi Film Festival will return April 4 to April 11, 2013 and we're looking for film and screenplay entries, now through December 14th, 2012. The International Horror and Sci-Fi Film Festival (IHSFF) comes from the producers behind the Phoenix Film Film Festival and is a program of the 501c(3) non-profit Phoenix Film Foundation. For 2013, the 9th Annual International Horror and Sci-Fi Film Festival will be taking place at the Phoenix Film Festival. You’ll be able to catch the best in horror and sci-fi independent films alongside over a hundred other independent films at the biggest film party of the year. Screenings will take place over six days at the festival. 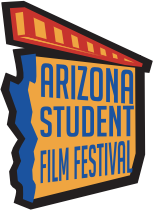 The leadership of the Phoenix Film Festival will continue to be producing the IHSFF. There will be a focus on independent competition horror and sci-fi films as well as some independent studio films. Celebrity guests from the Horror and Sci-Fi genre will also be in attendance. Past guests have included Linda Blair, Ken Foree, Lance Henriksen, Charles Cyphers, Jeffrey Combs, Adrienne King, Mick Garris, Lloyd Kaufman, Judy O’Dea, Marilyn Burns, Casper Van Dien and Tobe Hooper. This event will receive press coverage from the top genre press, both online and traditional. The event continues to be the top genre fest in the Southwest. 2012 IHSFF Films to be announced! Keep an eye out for the film selections for the 2012 International Horror and Sci-Film Festival. Many of the selections will be announced right here on February 15. We'll have over 25 new horror and sci-fi films for you to devour at this year's upcoming festival. Not only will we have great feature films, but also the finest in genre short films for you to enjoy. Check back here for all of the details on this year's amazing line-up. Are you an AZ Filmmaker? Are you a local Arizona filmmaker who wants to get more involved with the local film community? 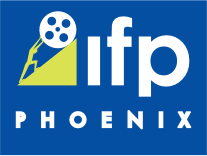 IFP Phoenix (Independent Feature Project, Phoenix) supports and develops the growth of independent filmmaking in Arizona through comprehensive training, networking, exhibition and filmmaking opportunities. 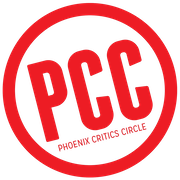 Additionally, the organization aspires to continually reach out with support for all other filmmaking-friendly organizations in Arizona and be the resource that helps connect everyone in our filmmaking community. How do you get involved? Join IFP Phoenix today, and get involved in the various programs and events that are scheduled through out the year, just for filmmakers. If you believe independent film is critical to our culture and to the future of cinema here in Arizona, visit IFPPHX.org today.